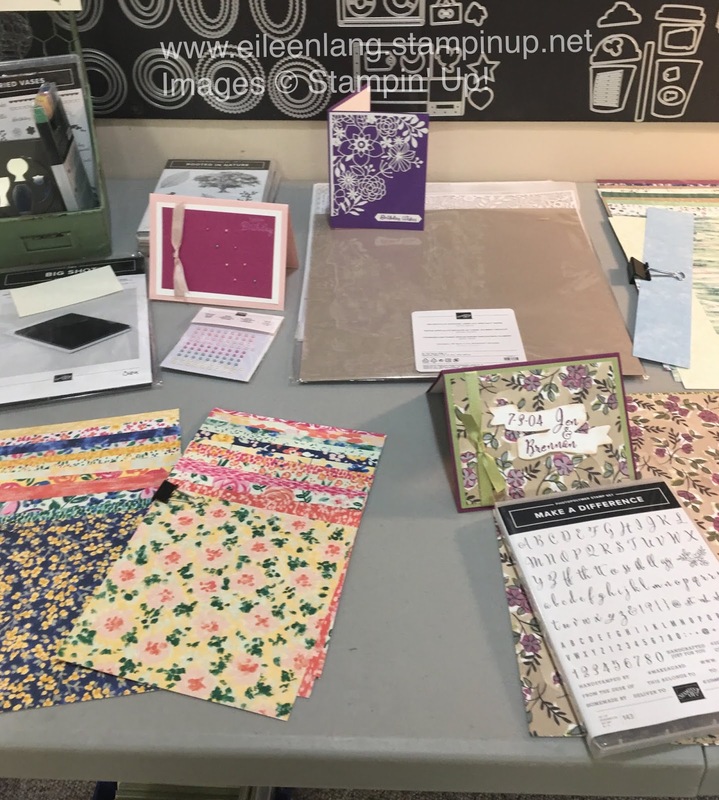 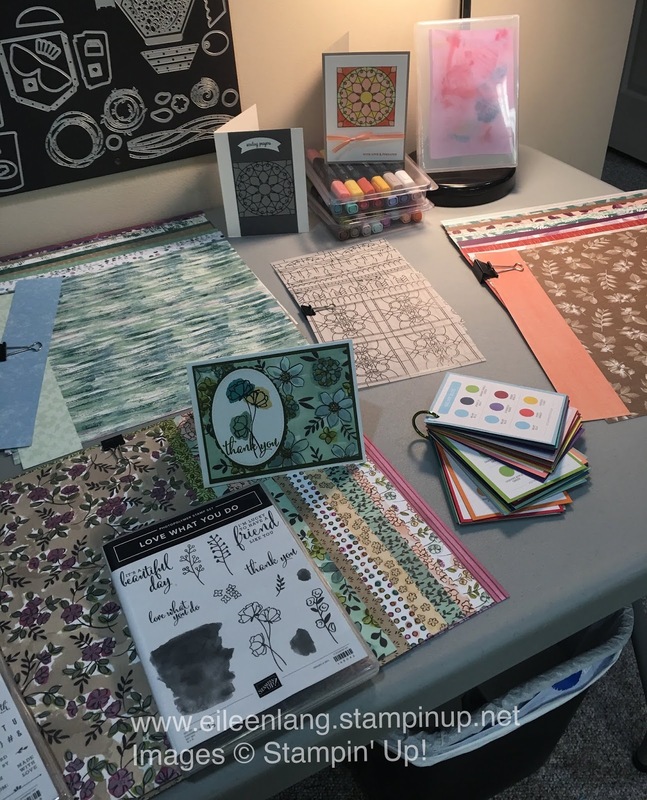 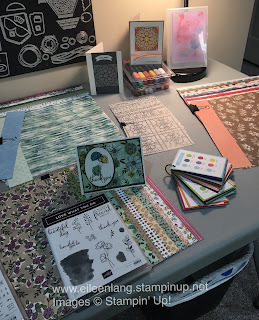 Eileen's Stamping Corner: Ready for my New Catalog Open House! 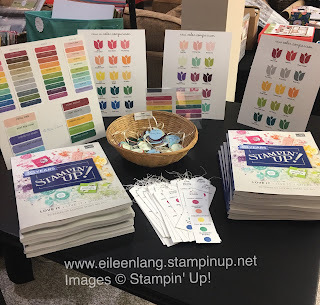 I'm all ready and set up for my New Catalog Open House. If you live in my area, stop by either Monday, June 4th from 6 pm - 9 pm or Wednesday, June 6th from 10 am - 2 pm. Pick up your copy of the Annual Catalog, along with a book mark showcasing the New In-Colors, and a card stock color ring with all of the new colors introduced in the catalog. 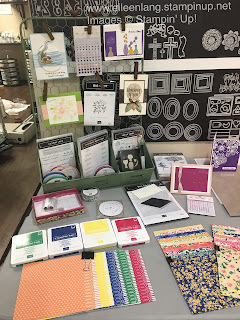 Card samples and product displays to showcase all of the new items.